A few years ago I came into some money as a beneficiary to a Will. After putting money down for a deposit on a house, one of the first things I did with the rest was put it into Premium Bonds. The chance of winning £1,000,000 while having my money available to me at any point was an opportunity too good to miss. I didn’t have any doubts that I was going to win. In the back of my mind I always knew that no matter what my holding was worth, the odds that I was ever going to win anything was remote, the odds of winning £1,000,000 are 1 in 64 billion for every £1 bond held. The more you hold the better, right? I know people that have the maximum holding limit of £50,000 and still haven’t managed to get their hands on one of the bigger prizes and the likelihood is, they never will. It’s true that your odds are improved the more bonds you hold but to make a real difference you’d probably need to hold £30,000 or more. The two winners of £1,000,000 in November 2017, held £30,000 and £40,000 worth. Before you ask, I don’t hold anything near the maximum, even then it’s unlikely that I’d question whether this was the best use of £50,000. Even looking at the breakdown of winners for November, there aren’t many people that hold less than £5,000 worth of bonds. Knowing that I’d probably never win £1,000,000, I even held on to the belief that maybe just maybe one of the other prizes where within my reach, £100,000 and £50,000 are still life-changing amounts and in my head, I’d already spent it. I guess I fell into the trap that the likes of NS&I, Camelot or any other operator rely on. The dream of a better life for me and my family. You can tell I didn’t pay much attention to the odds when I started buying bonds can’t you! While it’s true someone has to win it, on 1 May 2017, the odds of winning on Premium Bonds were cut even further. Before this change, the odds of ERNIE picking your £1 bond to win £100,000 was 1 in 22 billion this then went up to 1 in 33 billion. Like it or not Premium Bonds are a lottery. I know I shouldn’t, but I still have a go on the lottery and while Camelot try and sell the dream I and probably a good proportion of us that play, no we’ll probably never win. The odds of winning big on EuroMillions are around 1 in 140 million. Even the chance of winning £1m on the UK Millionaire Maker is 1 in 3 million. To put these odds in perspective, in January 2016 the US Powerball had a jackpot of $900,000, the odds of winning this was 1 in 292 million, a sobering reality. I’ve slowly been cashing in my bonds in favour of putting the money into my current account where I am guaranteed some interest at least, even if it isn’t the £25 that I might win now and again on Premium Bonds. This year I’ve “won” the grand total of £100, which actually isn’t that bad, bearing in mind that the odds of winning £25 are still 1 in 31k. This is still probably less than I would have made if I had put my money elsewhere. I still intend to continue holding bonds, just on the off chance that lady luck is smiling down on me one day. Fancy cars and exotic holidays. Nothing so interesting, I’ll be putting some of it into my current account to earn a little interest, but I also intend to try and make some of it work harder for me too. I’ll be doing a bit of investing, not just financially but personally too. We’re already in November, so it’s time for me to think ahead to 2018. I want to improve my personal circumstances in 2018, so not only will I be investing in myself by enrolling in a few courses, I’ll be sticking some money into my Stocks and Shares ISA and looking at other ways that I can increase what it. If you’re a holder of Premium Bonds, I’d be interest to hear you view on cashing them in or your reasons for holding them. 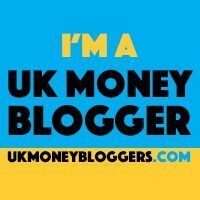 If you enjoyed this post, don’t forget to sign up to the newsletter to receive new post updates from Money for Monday.